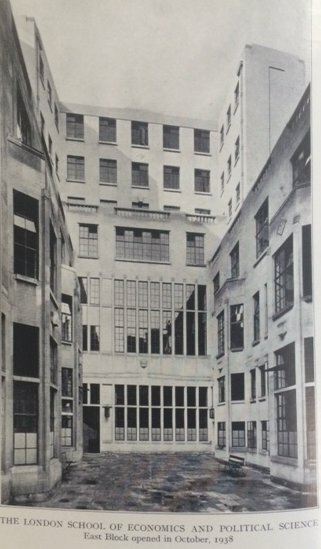 Watch LSE Archivist Sue Donnelly share the secrets of Houghton Street, touring the East Building just before its closure and demolition, in “The Changing Face of Houghton Street”. The last block of buildings I ever really expected to see. So wrote William Beveridge in his Director’s Report for 1936-1937 reporting that work was about to start on the completion of the East Building. With LSE’s buildings spreading along the west side of Houghton Street in the 1920s and 1930s the Director, William Beveridge, turned his attention to the east side of Houghton Street. When LSE arrived on Houghton Street their neighbours included small businesses and shops such as Meakin’s the grocer at number 18, Lynn and Harding publishers at number 17 and the Three Tuns public house at the corner of Houghton Street and Clement’s Inn Passage. The largest neighbour, almost opposite the Main Entrance, was St Clement Danes Grammar School. The grammar school had opened in 1862 teaching English, maths, science and French alongside Latin and divinity. It later added an infants’ and girls’ school. LSE and the grammar school had a friendly relationship – the grammar school borrowed chairs for their annual prize giving, often attended by the Director, and held events on LSE premises. In 1927 London County Council (LCC) proposed moving the grammar school to Hammersmith. The Director took immediate action and asked the School’s architects, Trehearne and Norman, to undertake a valuation of the building. In 1928 Beveridge expressed his concern to the School Governors that that LSE would be overtaken by others in bidding for properties on Houghton Street. Despite this 1928-1929 saw LSE acquiring the freehold of 17, 18 and 19 Houghton Street and with the support of the LCC in 1930 the contract for the purchase of the grammar school was completed. 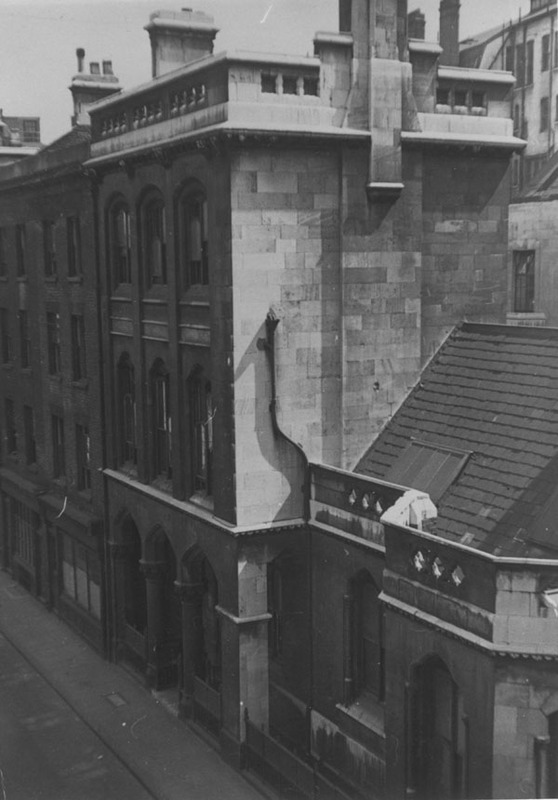 LSE paid a deposit of 10% – £2,400 – and by March 1930 the building was in LSE hands. The purchase and building work were funded by grants from the Rockefeller Foundation and the Treasury dispersed via the University Council alongside a loan. The School’s architects, Trehearne and Norman, were quickly at work on the first stage of the East Building on the east side of the site. One of the principle objectives of the project was to provide accommodation and a laboratory for the social biologist, Lancelot Hogben who had taken up a Chair in Social Biology in 1930 as part of Beveridge’s plan to expand the social sciences. It was a short lived experiment and with Hogben’s departure in 1937 the social biology department closed. In 1938 the second phase of building was completed but the building was not as large as the Director had hoped. Buildings on the Aldwych retained their right to light which led to a reduction in the number of floors and the inclusion of a light well further reduced the space available. The building did provide a second large lecture theatre and on campus sports facilities in the form of squash courts. The building was intended to provide space for the Anthropology and Sociology departments. In 1959 a bridge was built across Houghton Street to link the Old and East Buildings and in 1988 the light well was enclosed to provide a social space for the Students’ Union. The School’s plans for further expansion along Houghton Street and Clement’s Inn Passage were put on hold with the outbreak of the Second World War and the failure to purchase the offices of the Holborn Estate Charity which sat in the middle of Houghton Street, until the mid-1950s. Only in 1970 did LSE take possession of the entire block with the purchase of the Anchorage on Clement’s Inn Passage.